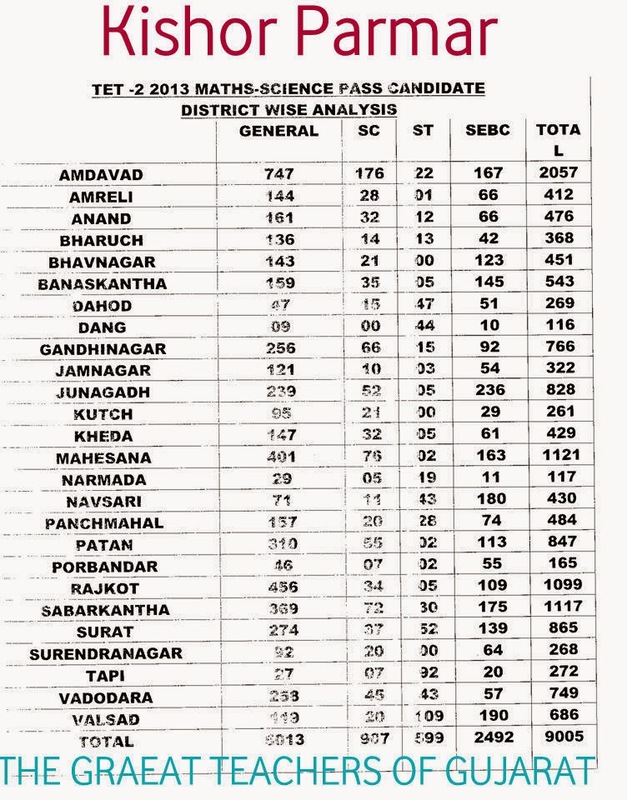 Gujarat TET 2 Ma Maths Science Ma District Wise Pass Thayel Candidate Analysis. Primary Teacher Banva Mate TET Exam Pass Karvi Frjiyat Karvama Aavi Chhe. Last Time 2013 Ma Levama Aaveli Exam Result Nu Aa District Wise Analysis Chhe.